This is one of my favorite shots of all time. I spent the year expanding my creativity and documentary work and when I saw this moment, I knew I had something special. 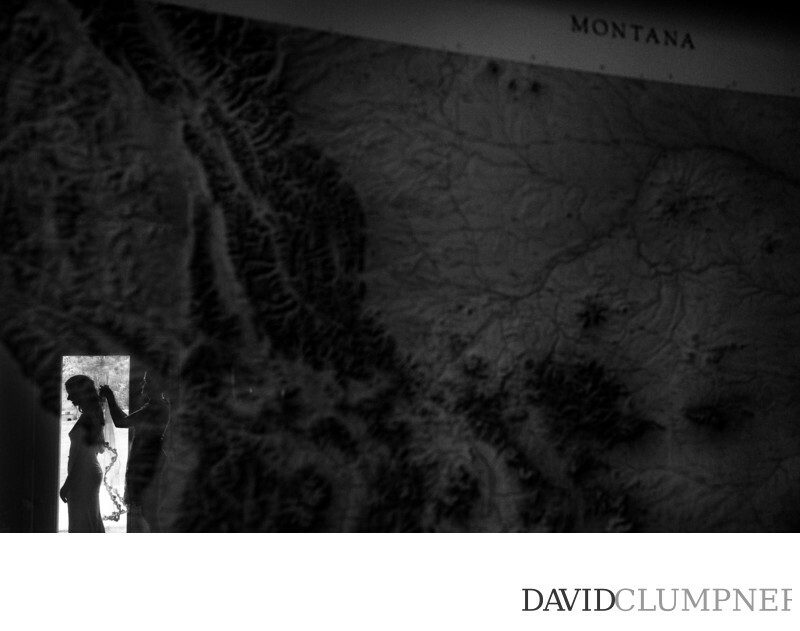 Andie is having her veil attached to her hair by her Maid of Honor while I am photographing the silhouetted scene in the reflection of a map of Montana. It is by coincidence, but the location of her head and veil on the map is the approximate location of the actual wedding at Andie's parents' house in Florence, Montana.